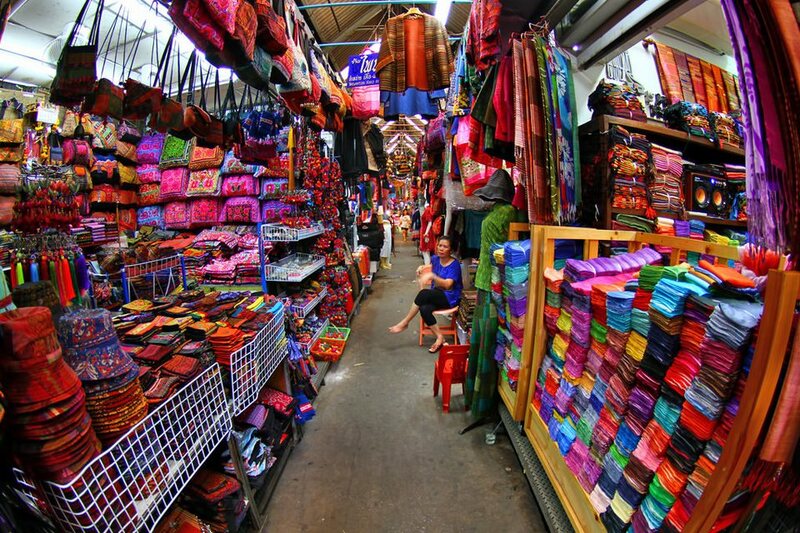 Traveling to Bangkok, Thailand, will be incomplete if you miss shopping at Chatuchak Weekend Market. The markets that only open at the weekend have always been a shopping destination for local people and also foreign tourists from all over the world. 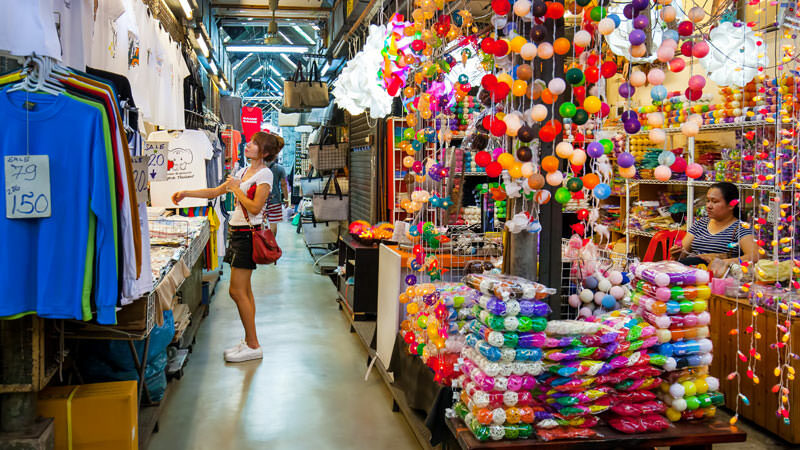 Shopping at Chatuchak Market does have its own charm that will make you fall in love with the atmosphere. Chatuchak Market where located on Kamphaeng Pet 2 street is stated as the largest market in Thailand, with more than 8,000 stalls and they divided into 27 areas. The items that sold in the Chatuchak are very varied and have competitive prices. You can find so many things, such as bags, clothing, shoes, home displays to household appliances, and also traditional fabrics can be found here. When you shopping in a very large place with a lot of visitors, there are several things that need to be considered, so your shopping sessions are more comfortable and enjoyable. These are some tips you must consider when shopping at Chatuchak Weekend Market. First, you need to come in the early morning. Chatuchak is open starting at 9:00 am. The market usually will be more crowded towards noon. Coming here in the early morning will be better for you because the weather hasn’t been too hot and there are not too many visitors have arrived, so you can freely browse and shop without too many pressure from the other. Second, you must be alert of pickpocketing. Buyers in Chatuchak are vulnerable to pickpocketing due to crowded visitors. It is advisable to only carry the items that are needed so that you do not need to linger open the bag to get the money. Always take care of the bag and place it on the front of the body and protect it by the hand. Third, bring your own shopping bag. Shopping at Chatuchak often makes you possessed because the prices are relatively cheap. In order not to bother carrying too many plastic bags, you should prepare your own large-sized shopping bags. Put all the groceries in it to make it easier to be brought. Fourth, wear a comfortable clothing. In the afternoon, the weather will get hotter. Wear comfortable clothes like T-shirts or cotton shirts, loose-cut pants, shorts or summer dresses. Use sneakers or flat shoes. Don’t useheeled sandals in order to relax and walk around more comfortable. Then, you need to determine the meeting points. Navigating Chatuchak for each block sometimes makes us unconscious about how far we walk. If you go to this market in groups, you and your friends or family are scattered in various places. So before shopping, it’s good to determine a meeting point. Choose a location that is easy to find to gather. The last thing is don’t hesitate to make a bid. Just like the market in general, you can bargain to get a cheaper price. Discounts are usually given 10-30 baht. Bid politely and keep a smile. There are several stalls that have set the prices and not negotiable. Usually, they have given the information in front of the store. Copyright © 2019 Westerhoff Antiques. Powered by WordPress. Theme: Accelerate by ThemeGrill.